Since 2005, Superior Carpet & Upholstery Care has offered the finest carpet cleaning in Des Moines, IA and surrounding areas: Altoona, Ankeny, Clive, Johnston, Pleasant Hill, Urbandale, Waukee, West Des Moines and Windsor Heights. We offer state of the art truck-mounted equipment combined with the right treatments, which allows us to extract dirt, stains and odors from the deepest layer of your carpet. This will remove stubborn stains and spots and keep them from returning while leaving your carpets feeling soft and new again. Our cleaning staff can also use the latest deodorizing treatments to keep your carpets smelling fresh. After carpets are cleaned manufacturers highly recommend an application of carpet protector to protect carpets and ensure they clean well on the next deep cleaning. We can also provide this service to you! We use the Prochem Apex GTX truck mounted unit. It is considered by many experts to be the finest in the industry for cleaning carpets. The unit uses an onboard heating system that can heat the water and chemicals to 260 degrees. It has a 31 horsepower Kubota engine for power and a Gardner Denver 408 blower for a strong vaccuum. Superior Carpet & Upholstery Care uses only the top of the line equipment and reputable chemicals to ensure thorough cleaning of your carpets. Our cleaning products are tough on dirt and stains, but easy on the environment. 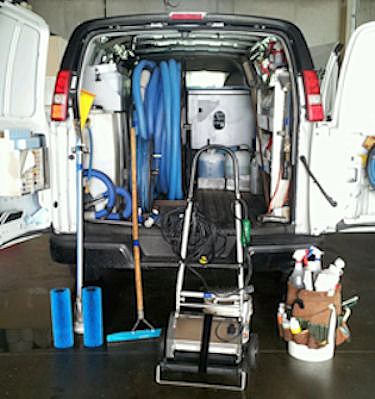 Because of our equipment and products you receive a professional cleaning that won't leave a residue behind. Additionally, our machines make carpet drying a breeze. Please check out our Water Damage Restoration, Upholstery Cleaning, Area Rug Cleaning, Carpet Repair and Stretching and Tile and Grout Cleaning services as well!